In our earlier article, we had covered How to Find if Someone has blocked your number on iPhone. This time, let us take a look at how to call someone who has blocked your number on iPhone. While the Call blocking feature on iPhone is quite useful for dealing with spam and nuisance calls, it can also be used in a variety of other situations in day-to-day life. For example, two individuals may have a serious fall out in their relationship, leading one of them block the other one’s Phone Number. It is also possible for the Call blocking feature on iPhone to be used unfairly. For example, someone who owes you money or a favour might end up blocking your phone number, in order to avoid your calls. Hence, this article to help people in deserving, genuine and urgent situations to bypass the iOS call blocking feature and contact the other party. Before going ahead with the steps to call someone who has blocked your number, you need to be aware that calling someone who has blocked your Phone Number can get you in trouble. The steps to call someone who has blocked your number on iPhone are only to be used in case of an emergency and in genuine situations where it has become necessary to call a person even though he/she has blocked your number. Please respect the privacy of others and do not use these steps to harass, bother or spam anyone with unwanted calls. You may be surprised to know that the Call blocking feature on iPhone can be easily by-passed. 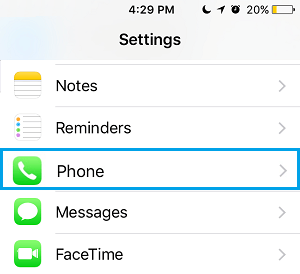 All that is required to get through the Call Blocking feature on iPhone is to Hide Your Caller ID on iPhone and make a Call to the person that has blocked your Phone Number. Since your Caller ID is hidden, the iPhone of your Contact won’t be able to detect the incoming phone number and match it with the blocked number. 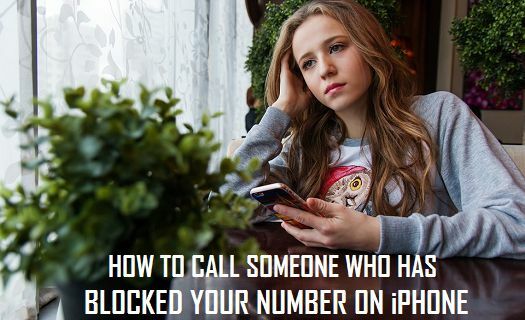 Follow the steps below to Call someone who has blocked your Number on iPhone. 1. Open Settings on your iPhone and tap on Phone. 2. On the Phone screen, tap on Show My Caller ID tab located under “Calls” section. 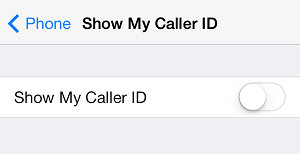 After disabling Caller ID on your iPhone, simply make a Call to the person that has blocked your Phone Number. As mentioned earlier, your Contact’s iPhone won’t be able to filter and block your Phone number this time (since your Caller ID is hidden). Your call will easily by-pass the Call block and the iPhone of your Contact will start ringing. 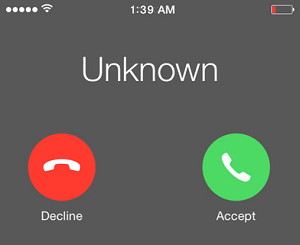 After this point, everything depends on how your Contact responds to Calls from unknown numbers. 1. It is possible that your Contact might answer the call out of curiosity, providing you with an opportunity to explain the situation and convey your message. 2. It is also possible that your Contact might ignore the call, precisely because it is appearing to come from an unknown caller. In case your Contact does not answer the calls from unknown numbers, try calling this Contact of yours using another phone. This way, your Contact will see a phone number and may decide to pick up the call.